Eighty-five percent of the jobs that today’s students will do in 2030 don’t exist yet, the Institute for the Future has predicted. That might seem like a high number to reach in only 12 years. But think about the now-mainstream careers that did not exist just a handful of years ago: drone operator, social media manager, app developer and cloud computing engineer, among others. Even if that 85 percent is ultimately smaller, the number begs an important question about how the workforce is preparing for the future, starting in the classroom. What role should colleges and universities play in preparing students for a workplace that is constantly changing? Educational institutions are trying to answer that question, largely by adapting their programs to better suit an ever-shifting work landscape. Here are some of the approaches they’re taking. There’s often a disconnect between what you learned in college and what you do in the workforce. In 2013, a Federal Reserve researcher found that 27 percent of college graduates were working in a job that matched their college major. Thirty-eight percent were in jobs that did not require a college degree at all. That is not to say that college degrees — and the knowledge that comes with them — are not worth earning. By 2020, 65 percent of all jobs will require at least some education beyond a high school degree, according to Georgetown University’s Center on Education the Workforce. That’s true despite several companies, including Google and Apple, that recently announced they will no longer require a degree. Many colleges have grappled with whether to focus on cutting-edge technical skills in their programs. In the 1800s and earlier, colleges were largely focused on teaching a broad swath of liberal arts, including ancient languages, religion and philosophy. That tradition continued even as colleges shifted at the turn of the century toward more specialized and vocational education. 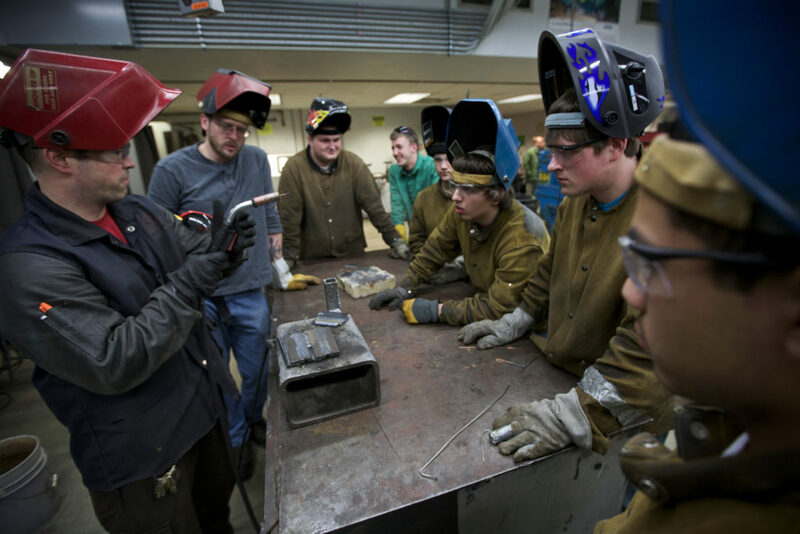 The popularity of career and technical education started to decline in the 1980s, but there has been an increase in attention to and funding for skills-based programs in the past decade, according to the Brookings Institution. The number of post secondary institutions that offered vocational education programs increased 16 percent between 2003 and 2015. Today, about 12.5 million high school and college students are enrolled in at least one career and technical education course, according to the nonprofit Advance CTE. The problem is many of those programs only train people for the jobs that exist today. With the rapid rate of change, the skills they teach could be obsolete within several years. While some universities are embracing the technical skills model, others see an opportunity to stand out as institutions that teach students “soft skills,” such as problem solving or the ability to work in a team, that are useful not only for the jobs of today, but for whatever the future might bring. And in a world where not only universities, but private companies, are getting into the education game, the pressure to keep up is stronger than ever. Those who study the intersection of education and the future of work say the four-year learning model needs to be rethought in a big way. They say education can no longer be seen as something that stops when a person graduates from college. 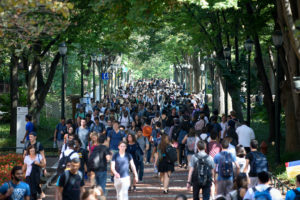 Jonathan Blake Huer, an education professional who consults with colleges to address the needs of the changing workforce, said he imagines a world where college is not four consecutive years at all. “I would prefer if the education system is more fluid so [students] can go in and out of it,” he said. If students could take a year or two of school, get a job, and then return to school a few years later, Huer said, the education system would offer true life-long learning and better adapt to changing technology. In the meantime, online programs are filling in the gaps. Universities are offering more online courses. Private companies like LinkedIn Learning, which absorbed Lynda.com, are also teaching people new skills through online videos via online subscription services. So the solution to training people for the jobs of the future? Don’t, at least to a point. The good news, Busteed said, is that our education systems have been forced to adapt to major disruptions in the past, and it’s likely they will figure out how to do so again. Some universities are already trying to make the shift. Fewer employers are willing to train people on the job than they were 50 years ago; a government report found employer-sponsored training fell 42 percent between 1996 and 2008, largely as part of an effort to cut costs. 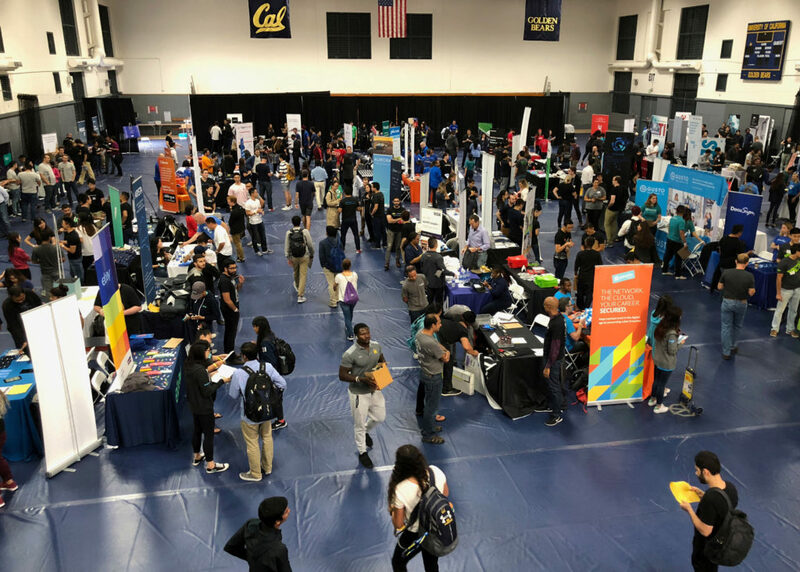 Internships, which many colleges already offer, appear to be the new kind of training program, though Busteed said universities could do more to integrate them part of a student’s graduation requirements. WATCH: Automation threatens jobs. Can education create new ones? At the University of Utah, the new Degree Plus program seeks to fill the job skills gap. It offers eight-week courses intended as an add-on to a student’s main degree. The courses include data analysis, web design and digital marketing, all taught by industry professionals. The goal “was to take a foundational degree and recognize that if you pair it with something more concentrated and technical, it can open up more opportunities,” said Andrea Miller, the University of Utah’s director of professional education. It is additional work, and an additional cost, but Miller said many students find the added value is worth it. Anthropology majors could benefit from understanding data analysis, for example. Students studying political science could see value in understanding content management or marketing, giving them a leg up when looking for jobs or getting a promotion a few years down the road. The model is similar to “badge” programs, which aim to give students a certificate showing they know a skill that employers might find useful. As the job market changes, the University of Utah also plans to eliminate and add courses more frequently. That rapid-response mentality is easier done in a supplemental program like Degree Plus than it is in more established yearslong programs taught by professors, who offer a deep base of knowledge but aren’t necessarily focused on workplace practices. Other institutions are trying to mimic the workplace within the traditional classroom. Several public colleges have partnered with private companies, like the software company Adobe, to integrate their products into the classroom. Professors at schools who partner with the company are encouraged to use the product for atypical assignments, like reinterpreting poems using video. Students at the University of Central Florida have used the software to design 3D-printed limbs. “These colleges are teaching digital communication and creative problem solving with assignments that ask students to understand problems, find solutions and then take action,” said Tacy Trowbridge, head of Adobe’s global education programs. The idea is that students learn how to create a project that can be used in the real world, drawing on the skills a student would need in a business setting rather than those they’d use for taking a test. They also learn the “soft skills” that employers say are increasingly difficult to find in a job candidate. In addition to allowing students to study subjects not taught in a standard university class, the DeCal, short for Democratic Education at Cal, program is designed to foster creativity–a skill that could be valuable in any job market. That way, she said, they will not only be prepared for whatever the job market looks like in 10, 20 or 50 years. They will be the ones shaping it. Can Trump’s new trade deal keep its promises to U.S. and Mexican auto workers?